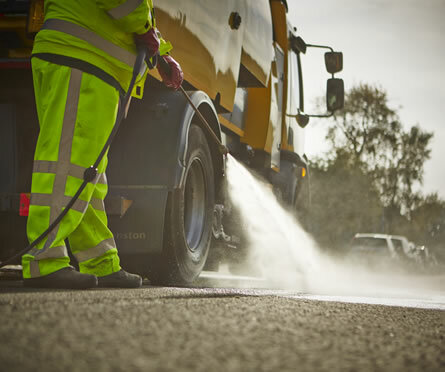 Since 1991, Flowline is instrumental in delivering fast, effective and quality road sweeping projects, which provides our customers with environmental solutions. Flowline projects to date include an impressive portfolio of both public and private sector customers. To date we are reputable and highly regarded for our project delivery with Kier Surrey. 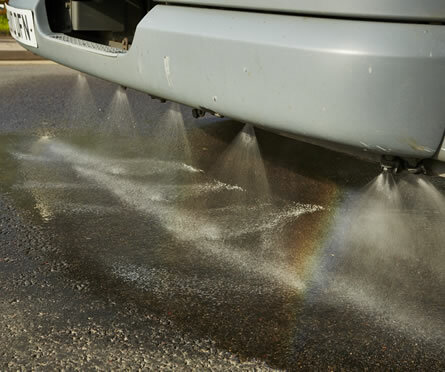 Flowline customers are impressed with how road sweeping offers them great solutions to sweep away lose debris on beanie block kerbs and high curved roads. And our road sweeping can also be used to tackle complex angles and areas of elevation, where jetting is not always a suitable solution. Sweepers are equipped with reversing cameras, there are two cameras fitted, one reversing camera and the other for watching the lowering side brush. Rear chevrons for additional safety when reversing and numerous mirrors for all round visibility, total of 5 mirrors for greater visibility. Twin engine super wash powered ‘Supawash’ machine. High pressure washing system with hand lance and ‘Supwash’ front spray bar. Dual colour camera system, large hopper and water capacities. 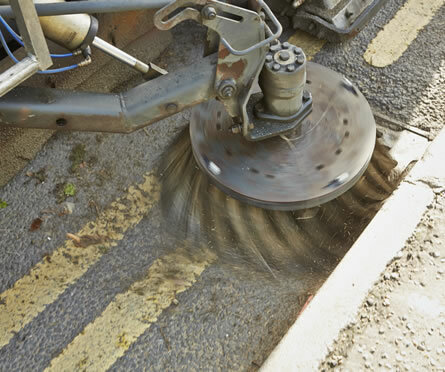 Projects suitable for road sweeping include: New build sites, surface dressing, motorway maintenance, warehouses, business parks, quarries, road gullies and manholes. Furthermore, our health, safety and risk management are our priority. It is imperative to Flowline we belong to the Waters Jetting Association Panel and follow their practices and codes of safety always. Safety and maintenance of our fleet of over 100 plus vehicles is maintained with our latest app software and tracking technology: FORS DAPPER, Fieldviewer and Effective Software. Further details of this software, is available here. Operators are all Construction Skills Certificated (SCSC) and Water Research Centre approved (WRC). Flowline Specialist Division are also highly skilled in NVQ Planning Risk & Confined Space and rescue trained and PTS Network Rail Approved. Further details of our health and safety processes can be viewed here.